In November “Elinar-Broiler” took part in the largest fair of the north-west region of Russia – “Peterfood 2017”. Taste-off “Our mark” was held within the fair where our products “First Fresh” took part. 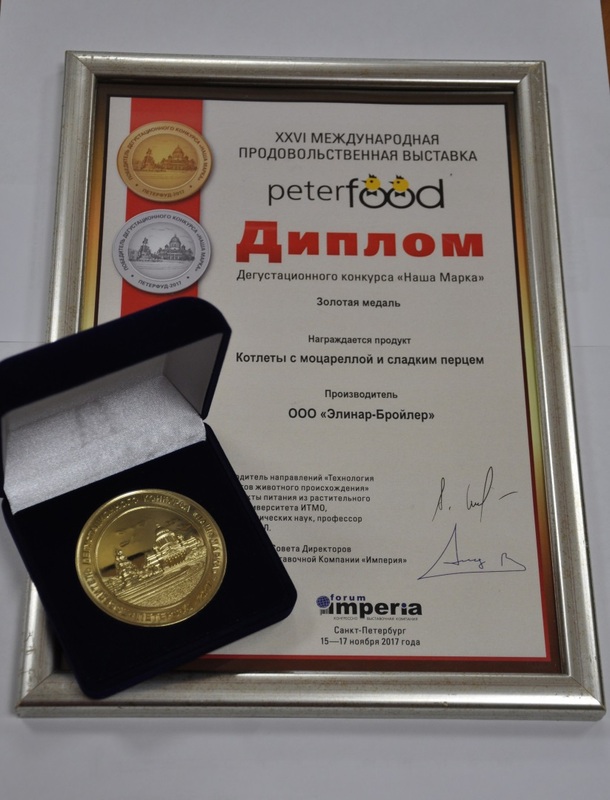 “Austrian” sausages for frying were awarded by the silver medal, and the cutlets with mozzarella and sweet pepper were awarded by the gold medal! Our congratulations with the just rewards to the personnel of the poultry-farm!